This is a super slick USB2.0 drive that has good transfer rates and nice packaging. It sits on rubber feet so suffers no vibration problems and looks good on any desk. Easy ‘plug and go’ setup and Seagate reliability. Highly recommended. With USB 2.0 and 7200rpm this drive is very keenly priced. The gloss case means it sits nicely on your desk, ready to backup your docs, photos etc. Performance is pretty good and we only noticed a small hum when searching for and copying files. Quiet, cool and comes with a 2 year warranty. Currently on free delivery via Amazon. The main physical differences between these cables is the way in which the spacing inside the cable is maintained. By spacing, I mean that between the pairs of copper wires there is a physical divider. This is most often made of a flexible plastic and it’s like a ‘plus’ sign in cross-section, running down the center of the cable with the 4 cable pairs separated into each quadrant. In a few cases there is foil wrapping used and separation is done with a braided sheath. The idea behind this separation is that it reduces “crosstalk” between cables hence the data packets are not lost and speed of transfer is improved. Category 5 cables are rated at 100 MHz, Category 6 cables are rated at 250 MHz. This effectively means you could push 2.5 times the amount of data down them but in the real world this is not always the case as there are a few other factors that come into play. Category 6 cabling does support the bi-directional transmission that we see in Gigabit Ethernet setups aka 1000BASE-T (1 gigabit is 1000 megabits per second!). Cat 6 cable provides a SNR (Signal To Noise) ratio that is approx 15 times better than Cat 5 cable over a large range of frequencies and compensates well for external ‘noise’ and temperature variations. Cat 6 has much better support for HD video, coping well with HD-SDI which demands up to 1.5 Gigabits per second. It can be used in any application that requires Cat 5 cabling such as till data, PC networks etc, so replacement of older Cat 5 cabling can be done with this newer cable as the end connectors (RJ45) are the same. Do read my next paragraph for a caveat though. The cabling is easy to terminate but watch out for the end connectors. Cat 5 RJ45 connectors are NOT the same as Cat 6 RJ45 connectors. This is a common mistake made by electrical wholesalers and even some suppliers. They don’t know the difference and often brand the end terminations as suitable for both Cat 5 and Cat 6 cabling. You won’t be able to fit Cat 6 into the old connectors because the inner cable diameter is usually that bit bigger. Stripping off the outer sheathing may help temporarily if you are in a fix, but this will usually break the integrity of the end connector as the plastic sheathing also helps to prevent the cable from pulling out. Before attempting a network installation, do a test run with your cable and end terminations. The RJ45 plug will, however, fit in exactly the same socket so no need to change the wall plate, switch, hub, or device socket. Ready made cables will definitely help the beginner out there as the connections are already made and there is often a moulded boot in place to support the cable and prevent excessive loads from pulling it out. Prices are often as cheap as making your own so go for these unless you need extra long lengths. Hope this helps to straighten out the lack of information out there, please leave me a comment if you find this helpful. This article is primarily a Panda Cloud Antivirus review, but let’s start by examining the need for a lightweight antivirus. Well, the ubiquitous market leader AVG Antivirus has gained some weight in its 2012 incarnation. So much so that it now brings many lower-specced PCs to their knees. Running AVG on our test rig (a Dell 3.0GHz Pentium 4 with 512MB of RAM) we saw an unusable PC with pretty dire start-up times. Removing AVG shaved nearly 3 minutes from the startup time! Not good. The older version had been a step in the wrong direction too in my eyes, with added bloat and heavily foisted registry cleaners. So many loyal AVG users should look to a newer antivirus, with a lighter framework. Enter the ‘cloud’ antivirus offering from Panda Security. There have been other manufacturers of antivirus products that utilised the cloud but, to date, none as capable as this. Installation is a breeze with the install program weighing in at less than 700kB. It took just 50 seconds to install on our Dell Windows XP test PC. It was nice to see that the right click functionality is there – you can scan a folder or file for viruses ‘on demand’ rather than do a full scan every time. On opening the main program window via a double click on the panda icon in the system tray – you can immediately see whether you have any issues with the industry-standard big red or big green indicator. Panda’s interface offers a built-in reporting feature that will show you what threats were found and dealt with on your PC. A discreet ‘gear’ icon allows you to further explore the Panda Cloud Antivirus options. You can select both Quick and Custom Scans, as is the norm these days. If Panda incorrectly marks a file as infected (a “false positive”) then you can recover it from the Panda Recyce Bin. For network scenarios Panda provide a useful proxy option. For the privacy concerned, you should know that you pass your scanned file and setup data, albeit anonymously, to ‘the cloud’. This approach means that other users benefit from your detection of malware as do you benefit from theirs. You can opt-out of this but that really does defeat the object, as by doing this you are also opted-out of any cloud based advanced threat management. I was disappointed to see that it doesn’t scan in archives (zip, rar, 7z etc) by default so you will need to turn this feature on immediately from the settings menu. This is a major fault in my eyes and I suspect this was done because of Panda’s eagerness to have the lightest-weight AV client around and improve the scanning speed. The inclusion of a Internet Explorer/Firefox Panda toolbar that we didn’t get the option to install is annoying. Hilariously, it incorporates the “Toolbar remover” icon that allows uninstallation of – you guessed it – all other toolbars except the Panda one. 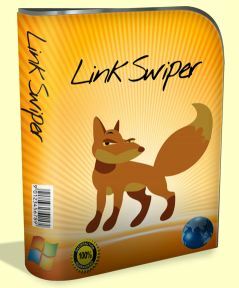 A useful and lightweight antivirus that operates cleverly in the cloud to achieve low resource usage. Has a huge amount of work to do to be able to compete with our current pick of the AV crop Kaspersky Pure, but it’s a sensible free solution for older PCs and those with low RAM , eg XP with 512MB or less. Our workshop has just had a brilliant new laptop to play with, the Sony VAIO CB3P1E/B and here is our review. This Sony Vaio 15.5″ laptop is powered by the excellent Intel® Core™ i5-2430M processor which makes it a super-responsive machine. It has a large 6GB of memory and an equally capacious 640GB hard drive. The screen is razor sharp and offers a very good experience from all viewing angles, something cheaper laptops can’t boast. Couple this to the BluRay DVD which comes bundled with this laptop and you have a stunning film clarity that isn’t bettered on any other machine we have seen. There’s an HDMI output port that allows you to plug in a cable and transmit this film to any TV with an HDMI port. 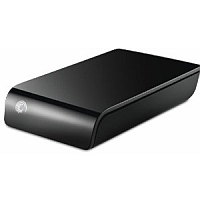 The laptop runs very quietly and makes it suitable for use as a DVD player when required. USB 3.0 ports and Bluetooth allow decent connectivity and there’s a multi-card reader built in. The card reader does the usual SD formats but also includes Sony’s own memory stick Duo format. Build quality is top-notch, we have come to expect nothing less from Sony. This laptop would compete with most other brands in the £1000 plus category but for UK buyers, it’s currently on offer for £547. The mouse touchpad is responsive and has the new-style click bar. The keyboard is a delight to use with the keys all being raised and nicely separated from each other. Use a keyboard like this and it’s hard to go back to the squashed-together keys that other manufacturers offer. The keyboard also features ALC (Auto Luminance Control) to detect the brightness of the surrounding environment. The sensor turns the backlight on automatically at night or in a dimly lit environment (such as the depths of our workshop storage area). The integrated HD Web camera offers clear, crisp and sharp video chat with minimal blurring. The colours appear natural and have good contrast. A “Web” button on the top of the laptop’s keyboard allows you to load a mini-Linux browser and you can get online in seconds, ideal for surfing while in a hurry. That said, boot up times were very respectable with only the addition of an SSD drive that could shave a few seconds off. 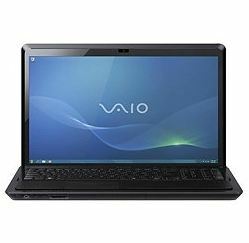 The SONY VAIO CB3P1E comes with Windows 7 Home Premium 64 bit, meaning it can make full use of the generous 6GB of RAM. This led to some blistering speeds in our benchmark testing and the laptop coped with everything we threw at it including Adobe Photoshop (graphics) and Premiere (video) which it handled with ease. It handles most PC games with ease too, only being outshone by dedicated gaming PCs that cost 3 times or more what this Sony does. All in, this laptop is built to last and a pleasure to use. It’s lightning quick, even with the Sony stuff that launches on startup. We generally take this software off and do our own updates but leaving it on has no noticeable performance impact if you prefer to be prompted. It makes full use of the large 6GB of DDR3 RAM which gives it the edge over lower-specced machines on memory hungry applications such as graphics and video rendering. The cheapest deal we found for UK buyers was at Tesco Direct, we’ll keep this updated below if we find better prices. SERPbuddy is a premier online SERP tracker that was built by SEO professionals. For those who don’t know, SERP stands for Search Engine Results Page. The data that SERPBuddy presents is well formatted and offers everything that people need to accurately gauge the rank and position of a search keyword for any website. There is built in reporting and management for your Keyword Rankings, Backlinks, Pagerank and Alexa Rank. The dashboard is easy to use and the software is responsive. SERPbuddy will notify you by email of changes in your search engine rankings, or they can just notify you when your chosen keyword reaches the first page (or if you are lucky, the top position!). This is a nice feature as it means that you can do other things and forget the daily check. With all of the Google updates it’s also a nice way to see if your site drops off the radar completely. The impressive thing about this relatively new software is the SERP buddy free trial, so you can see if it suits you. Creating attractive, branded reports is easy, so this would suit an SEO company just as well as an individual. Simply upload your logo and you can create rather impressive reports that clients will like. You can download to PDF or email the report(s) directly to your clients. Very simple, neat and efficient.